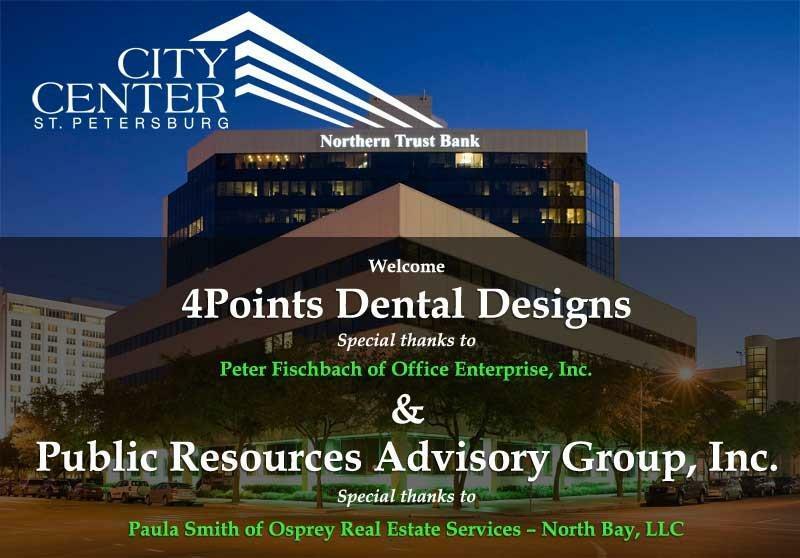 4Points Dental Designs and Public Resources Advisory Group, Inc. will be relocating to City Center. 4Points Dental Designs has leased 1,731 square feet. Peter Fischbach of Office Enterprise, Inc. co-brokered the deal. Public Resources Advisory Group, Inc. (www.pragadvisors.com) has leased 1,301 square feet. Paula Smith of Osprey Real Estate Services – North Bay, LLC co-brokered the deal for the financial and investment advisory firm. 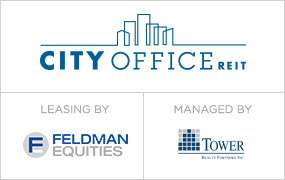 This entry was posted in Leases and tagged City Center St Pete, Downtown St. Petersburg, Feldman Equities, Office Enterprises, Office space, Osprey Real Estate. Bookmark the permalink. Paula recently joined Commercial Asset Partners (CAP Realty). Thanks for Choosing City Center Once Again Gregory, Sharer & Stuart!